When my grandfather first took his family to a vacation resort in Michigan’s Upper Peninsula, he began a tradition that I cherish more than almost anything in my life. Since being a little boy, nearly 40 years later, I loved our annual trip to Northern Michigan but after growing up and leaving home, I realized that I had been taking those vacations for granted. 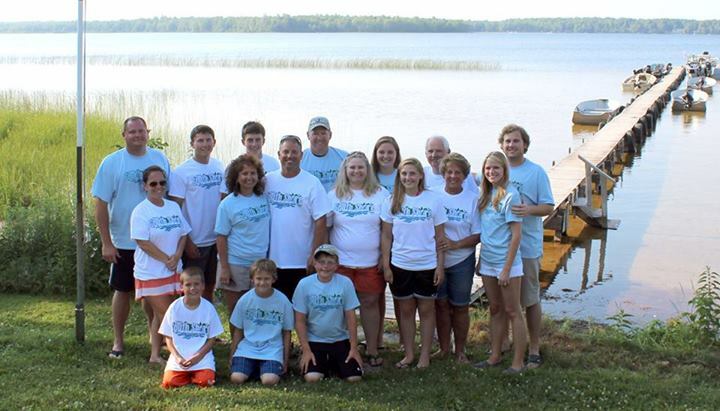 As our family grew and inevitably spread out, our summer vacations on South Manistique Lake’s south shore became the lure that brought us all together. For me, living across the country, I typically return twice a year for two events; Christmas and my favorite part of every year – when the entire family comes together for an uninterrupted week of fishing, fun, relaxing, and new family memories I’ll surely never forget. As history has shown, so many South Manistique / Curtis-area resorts have shut down and been sold for private use. This was one of my biggest fears when reminiscing family memories – especially since so many of them were formed at the Lake. I couldn’t be happier that we took the plunge and bought the resort. As much as we love South Manistique Lake, I suppose this family tradition could have been created anywhere – then again, who knows and there’s no reason to wonder because Pavlica’s South Shore Resort is here to stay. We’re just getting started in meeting our customers and it seems that so many love this place for their own special reasons. For us, family is what makes it extra unique but maybe your reasons are different. Whatever they may be, we hope you continue to share our favorite spot on the Lake for as long as you can. We’re happy to be open for business and we intend to keep it that way for decades to come.